J. Robert Keena, chair of Hellmuth & Johnson’s litigation department, appeared on the Minneapolis/St. 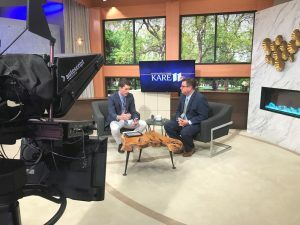 Paul NBC affiliate’s KARE-11 News at 4 p.m. newscast. Keena shared timely tips for homeowners when filing storm damage insurance claims. View the story at kare11.com.